After Christina Hendricks and Drake, here is an article about the discreet Kevin Costner. A bit bland, Kevin Costner? His horoscope is most unlikely to say otherwise. It is no wonder that Costner is a model of equilibrium. Indeed, the strength of signs, of planets, of quadrants, of modes and elements, as well as the blend of tough and soft aspects, everything is well-proportionate. This quality may resemble his image, which does not lessen the talent of this Hollywood actor, producer, and director who enjoyed a whole decade of glory, from 1985 to 1995, to cut a long story short. Since then, we have sometimes lost sight of him, because like all people born with the Sun in Capricorn and the Ascendant in Virgo, Costner opts for discretion. Although he was showered with rewards, he preferred to get back to a simple life more anchored in nature, similarly to Robert Redford. He was born in a family of managers. He grew up in Canada, far from Hollywood. He chose to learn marketing principles, apparently willing to follow in his father's footsteps. When he met Richard Burton, the whole course of his life changed. As he was flying back from his honeymoon, he found himself seated next to the famous actor – believe it or not. Their conversation proved to be an epiphany for Costner. The mask of the good-mannered young man who avoids taking too many risks fell into pieces, and he decided to try his luck on the cinema sets. Looking at the natal chart, we may think that the Jupiter - Uranus opposition, conjunct the Sun in Capricorn in late Cancer, accounts for the compulsion which can overcome any hurdle. Since this aspect involves conservative signs, it describes the paradox between the respect for tradition, Saturn's characteristic – something Costner will do throughout his life – and a Uranian behaviour, i.e. unexpected and bold manners. This major aspect probably explains the success of the film Dances with Wolves, which earned him worldwide recognition and seven Oscars. He was 30 when the film, released in 1990, turned him into an icon during the decade. Long before our days, it highlighted a concern for Indian tribes and their lifestyle which was environment-friendly, modest and wise at the same time. The emphasised Cancer-Capricorn axis agrees with the character of the Federal officer who recovers from the Civil War and accepts a posting in the wild West. All ingredients are gathered: the time and the values echo Costner's astrological profile. Moreover, it so happens that he has Cherokee blood! Before he achieved success, he had to wait quite a long time because he was not convincing enough. However, we know that people born with the Sun in Capricorn are tenacious. What is interesting in Costner's case is to note that he succeeds in roles which match his true personality. Spruce characters driven by a strong sense of honour, incorruptible, like in the film by Brian de Palma, The Untouchables, in which he distinguished himself in 1987. Later on, in addition to Dances with Wolves, there were Bodyguard, JFK, and Robin Hood: Prince of Thieves. He is always the good guy and starts to explore the world of seduction. 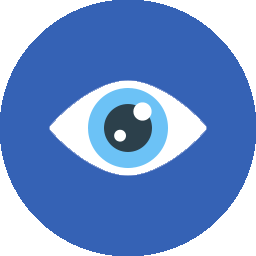 The Moon conjunct Venus in Sagittarius indicates that his penchants are very clear. He is idealistic, passionate, prepared to do anything for those he loves. Although he divorced once and admits that he hardly recovered (for his children), nowadays, he lives an honourable life and adheres to these principles. Does Costner always get everything right, like his natal chart? There is always a flaw, even with the greatest people. 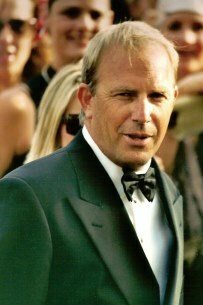 Costner experienced setbacks after Waterworld, the flop of 1995 directed by Kevin Reynold. This was the start of a - relative - decline. Yet, the cause was deeply "Costerian" and resonated astonishingly with topical issues. It is a futuristic story depicting a world dying owing to global warming. But then, divergences of opinion between the two Kevins bloated the budget to $200 million. The reception by the public was cold, and since then, Costner has been less sought-after. We need to draw attention to Neptune in the 2nd House (finance), trine the Midheaven (career) but square the above-mentioned Uranus-Jupiter conjunction which is a key aspect in the chart, as explained. And above all, square the natal Sun. It is very interesting to note that a planet may prove positive – after all, Costner did shine, and his career remains quite enviable, thanks to the planet of inspiration and romanticism. Even though, as far as money is concerned, Neptune was a disservice, at least to Waterworld. Anyway, Costner is still working, but less than in the past. He recently played in Yellowstone, a quite successful series, while spending as much time as possible in his house in Aspen. There, in the heart of Colorado, he has adopted again the lifestyle rooted in nature he prefers. He fishes for trout in the surrounding rivers and admits that he is concerned with the control over the architecture projects he carried out there. One cannot change! You can also read the Astrotheme astrological portrait of Kevin Costner. He is currently experiencing a pleasant transit of Jupiter on natal Venus and natal Moon in Sagittarius. This is probably synonymous with personal well-being and emotional fulfilment. Later on, it will be necessary to analyse the impact of the successive transits of Saturn on the natal Sun in the 5th House in early 2020. Ditto for transiting Jupiter, then for transiting Pluto in early 2021. It is most likely that Costner will have a new opportunity to strengthen his beliefs. He may also go through interesting and sometimes unexpected events in the artistic and romantic area.